you all know why we take pictures, right? we take photos to remember. remember things that once were. because what is life without memories? sometimes we take a photo and do not realize that it was a once in a moment shot and that an era is passing and changing and will not return to what it once was. but rather comes over and washes us like a wave and then that moment becomes so much more than it was at that point in time. it represents a passing moment. well, truth be told, this is the second time i have created a page for this particular photo. i was not in love with the first page i did, and so had to recreate. do you know it took henri matisse six years to complete “Bathers By a River”? this did not take me six years to create, but i think that is fascinating. the Ephemera words fit perfectly as do all the Word Jumble Stickers. even the little what might not be considered significant pictures. because someday the neighborhood is going to change. someday family is going to weave in and then back out. someday the 'now together' will look different. Wise words Jamie! 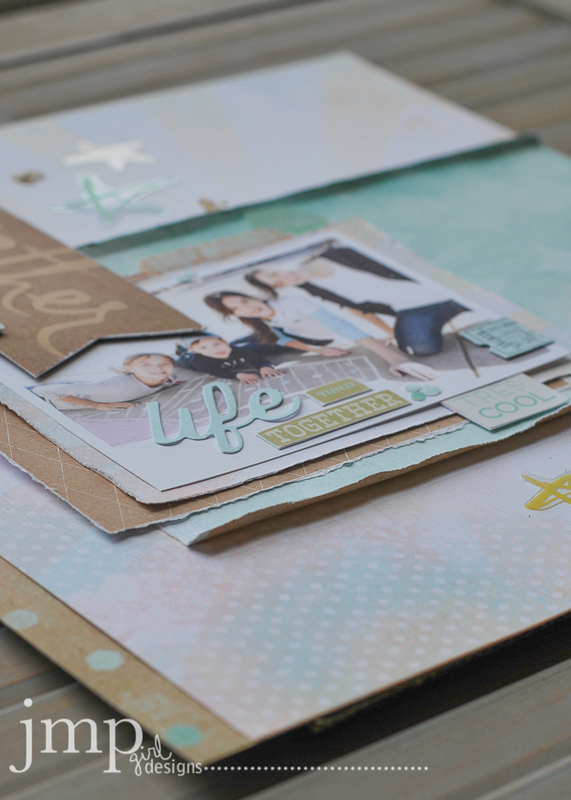 And yes, this is why we scrapbook, isn't it? 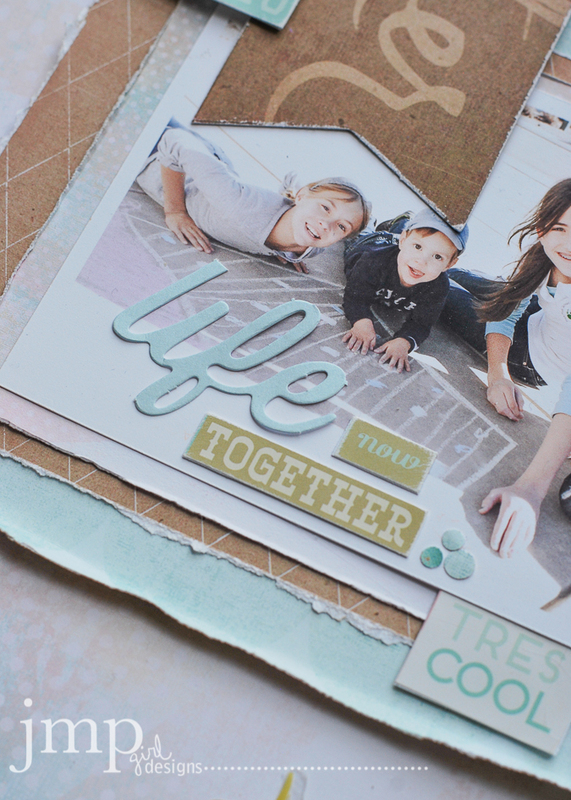 I really like the distressing on your page a well as the soft colors, it's lovely! Saw this on Heidis FB page had to come over and say how beautiful it is, ! 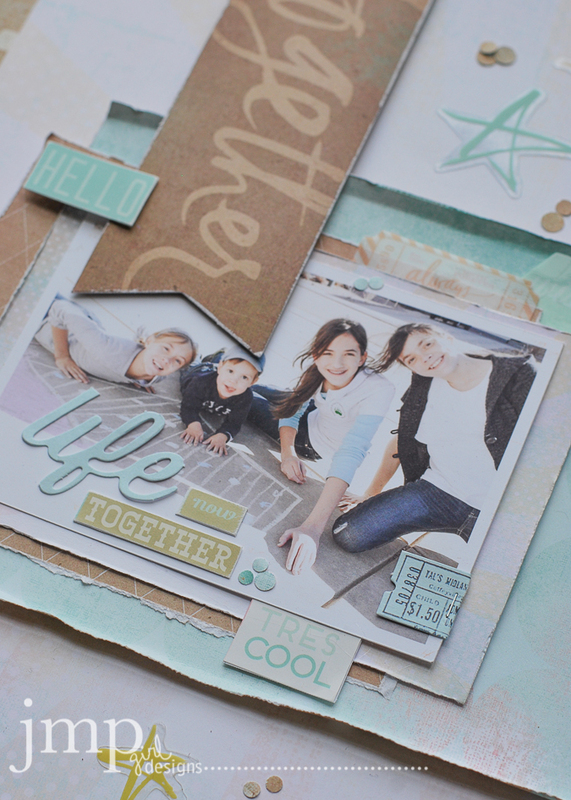 Lovely layout and your comments are worth remembering.